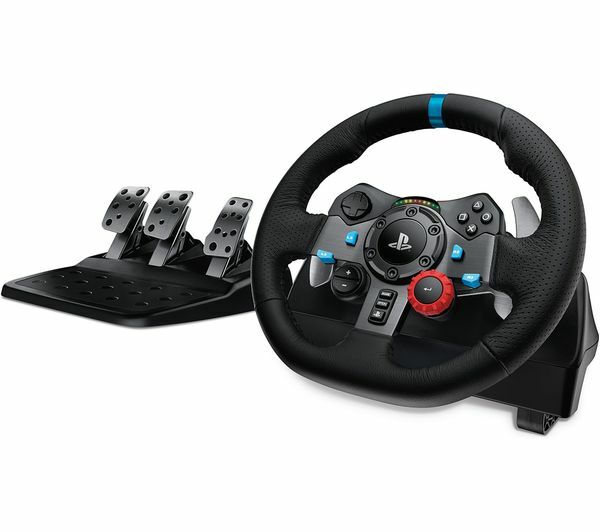 Enhance your PC and console racing games with the Logitech Racing Wheel & Gearstick Bundle. The six speed ‘H' pattern shifter seamlessly moves between gears, for smooth, effortless gear transitions. Conquer hairpins turns and high-speed corners without missing a beat. Gives a more realistic experience. Doesn’t have a user manual this would be very helpful for first time users. Great wheel with great features. The wheel could do with being a little bit bigger. Still feels great though.